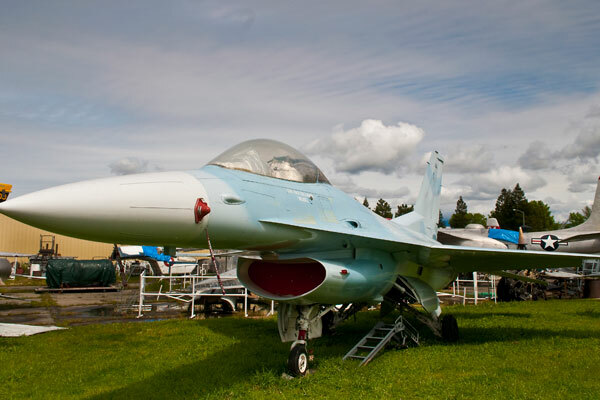 When you donate to the Pacific Coast Air Museum or provide some other kind of support, you will be joining with us in our dream of creating a world-class aviation museum. Because we are a 501(c)(3) non-profit organization, your gift may qualify for a federal and/or state income tax charitable deduction. Since our founding in 1989, the Pacific Coast Air Museum has enjoyed exceptional growth, both in membership and in the acquisition of historic aircraft and artifacts. We have also expanded our Education Programs for children and young adults, have increased our capacity to repair and restore aircraft and artifacts, added airworthy flying aircraft, and hosted countless community events. One example of how we invest donated funds is the creation several years ago of our 9/11 “First Responder” memorial exhibit. 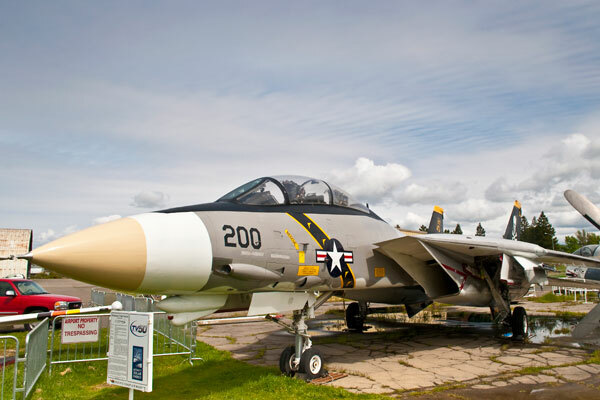 This professionally designed and built educational and inspirational exhibit enshrines our F-15A Eagle aircraft in honor of those who responded and those who perished on September 11, 2001. It tells the story of heroism in the air on that fateful day in our nation’s history. We appreciate every gift, and if you want to tailor your gift to your interests, click to expand on any of the topics below. If you wish to discuss your donation first, please contact Doug Clay at 925-997-2774. You may also email him at dougclay@gmail.com. We have outgrown our current facilities. The museum members, led by our volunteer Board of Directors, have been raising funds and laying plans to move to the plot right next door that includes the historic World War II vintage Butler Hangar. Our new and expanded facilities will better house our collection and appeal to visitors of all ages. Our vision for a great aviation museum is to provide a comprehensive look at the past, present and future of aviation and to expand knowledge of aviation history, principles of flight, and the stories of the heroic aviators whose lives we honor and celebrate. We welcome you to become our partner in these adventures! Let us decide how to best to apply your gift to the current work of the museum, and the important activities that further our mission. Help us realize our dream of improved and expanded museum facilities and exhibit space in Santa Rosa, California. Through this fund we will have the facilities to house some of our more sensitive displays in a protected environment, and have more space to display our entire collection of aircraft, artifacts, exhibits and books. The Hattie Stone Museum Building Fund is named in honor of the late Hattie Stone, dubbed the “Sweetheart of the Museum” because of the unflagging enthusiasm, spirit, and generosity she showed the Pacific Coast Air Museum and other Veterans-related organizations. Through our many partnerships with other aviation-related organizations, and with local area schools, we have developed many educational programs related to aviation technology and history for youth and young adults. Your donation will help us to train more docents and educators and build more interactive displays so we can continue to expand our offerings and see more children every year. During these classes, Museum members teach the principles of flight and encourage a hands-on approach to learning about the adventure of flight and the importance of aviation to our society. Our extensive education program includes tours and aviation classes for school children, Boy Scout Aviation Merit Badge programs, and an Aviation Summer School program. Find out more about education and classes at the Pacific Coast Air Museum. Do you really love one particular aircraft in our collection? Do you want to help us continue to obtain and restore new aircraft? Then this is the fund for you! This fund allows you to give generally to our restoration program, or you may support any one of our classic aircraft and aviation artifacts. Over the years, the Pacific Coast Air Museum has acquired a large collection of aircraft for restoration and display. Some are on loan from the U.S. Naval Aviation Museum and the National Museum of the United States Air Force. 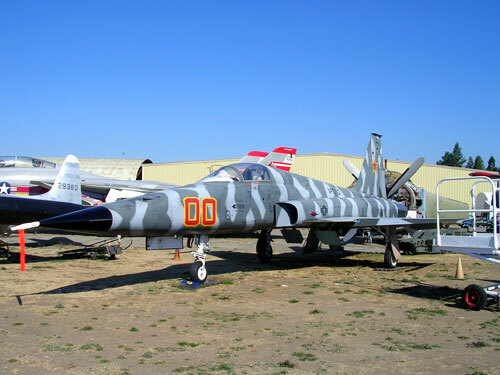 Others were donated to the museum or recovered from the U.S. Air Force storage facility at Davis-Monthan Air Force Base and various other places. Each aircraft is lovingly restored by our volunteers and proudly displayed in the museum Air Park. Many of us have – or have had – family members or friends who bravely served and worked to help defend our way of life, and build a prosperous nation for us and future generations. Or perhaps they just loved aircraft and flying. Let us know if you have a specific person you would like to remember with a Memorial Gift. Use the "Special Instructions" section of the PayPal payment process to tell us to whom your donation is dedicated. By remembering the museum in your estate plans, you help us to be here to continue our work into the future. 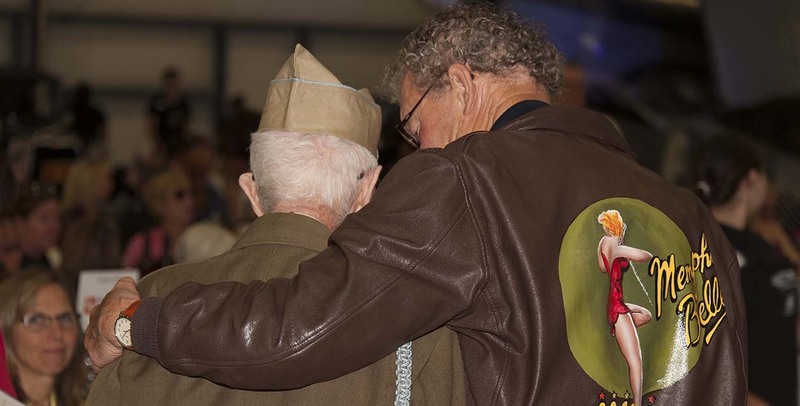 Generations of your family and others will be enriched by the preservation of history, education and inspiration of our young people, and honoring of past generations of heroic aviators. Please contact us if you have questions or concerns. We are here to help you realize your charitable intention, and to thank you for supporting our work. Planned giving allows you to share in the future of the museum with a gift that is deferred to a later date. The advantage of many future gifts is that they can be structured so you can make a more significant gift than you may think, while providing yourself with a financial benefit now. Should you wish to leave us a gift through your estate, there are many ways to do this. A simple bequest can specify a gift of cash or other property through your will. Other opportunities include living trusts, a charitable remainder trust, or a beneficiary designation in a life insurance contract, retirement plan, IRA, or any other contract for which a beneficiary can be named. If you have already included us in your future plans, we hope you will let us know, so we may recognize your gift and express our appreciation. You may also serve as an inspiration to others who may be thinking about including us in their plans. If you would like to discuss your wishes with us, let us know. We would love to hear from you! Review the Pacific Coast Air Museum IRS Letter of Determination which formally states our non-profit status.